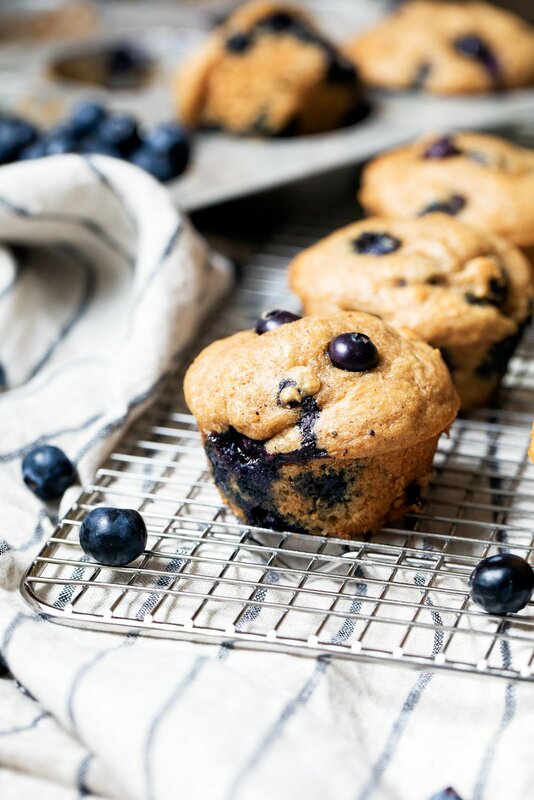 Healthy Blueberry Greek Yogurt Muffins made with whole wheat flour, greek yogurt, naturally sweetened with maple syrup and just a touch of heart healthy avocado oil (or coconut oil!). Happy Monday. How was your weekend? MINE WAS INCREDIBLE! We had such an amazing workout + brunch at the Under Armour Women’s Chicago Brand House. I’ll have a full recap for you very soon, but just a HUGE shoutout to everyone who came to the event. You guys are literally the best & sweetest humans. 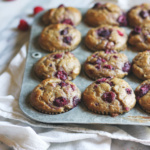 Now for your Monday… I feel as though there’s no better solution for a start to the week other than muffins. You know me. The queen of the muffs. Let’s stick with the muffin woman. Sounds much better. I made these muffins last weekend on a whim. Tony had taken me on a Saturday day date — first on a Chicago river cruise, then we scooted over to Chinatown for eggrolls and wontons. TASTY as hell. What I didn’t expect upon our return was to come home with the urge to bake. It was like a baking craving of some sort. Look if you have no idea what I mean, it’s kinda like when you’re at Trader Joe’s and the dark chocolate covered peanut butter cups sneak into your cart because the craving is very very overwhelming. It just happens. And sometimes your cravings must be crushed. So anyway the MUFFIN woman was craving muffins and had to bake them right then and there. And so I did. Saturday night rager happening for real. Truth be told, the muffins came out perfect the first time around, but I wanted to tweak just a few ingredients. The second time I baked them, they were even better and so MOIST. Ugh, what a terrible word, but I don’t know how else to describe them… tender? tempting? outrageously good? Kanye mic grab worthy? Either way, you’re going to LOVE these. They are perfect for the kiddos and adults. 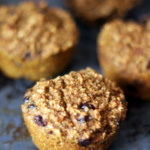 I love the boost of protein the Greek yogurt adds to the muffins. 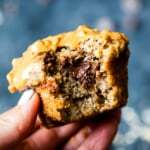 Unfortunately I don’t have a gluten free version, but I do have a dairy free version that’s available in the note section of the recipe! ENJOY! Preheat oven to 425 degrees. Line a 12 cup muffin tin with muffin liners or spray the pan with nonstick cooking spray. In a large bowl, mix together the greek yogurt, oil, egg, maple syrup, vanilla extract and almond extract until smooth. Add in the whole wheat flour, baking soda, cinnamon and salt; mix until just combined. 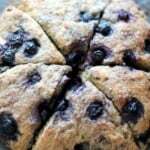 Fold in blueberries (and walnuts if you are using). Divide batter evenly into liners, filling 3/4 of the way full. Bake at 425 for 5 minutes then reduce the heat in the oven to 375 degrees and bake for 10-15 minutes more or until toothpick comes out clean or with just a few crumbs attached. Makes 12 muffins. To make vegan: use the above plus a flax egg instead of a regular egg. 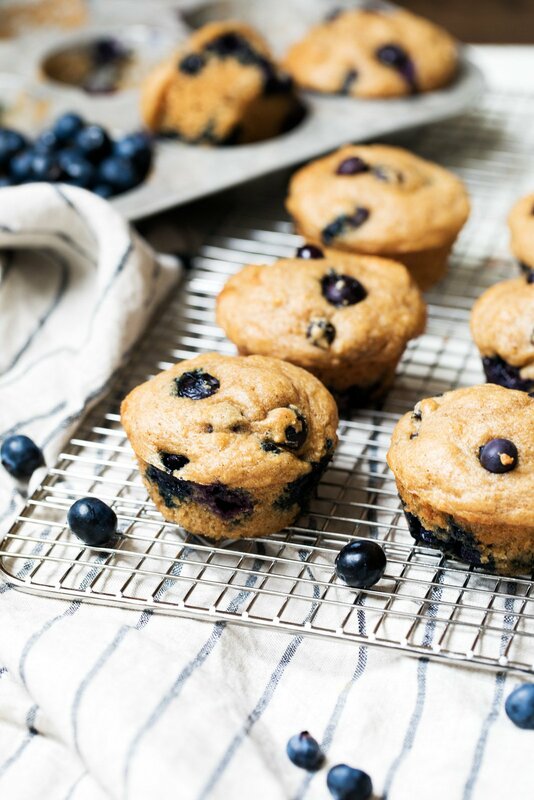 36 Responses to "Healthier Blueberry Greek Yogurt Muffins"
Can’t wait to try these, my daughter loves blueberries! 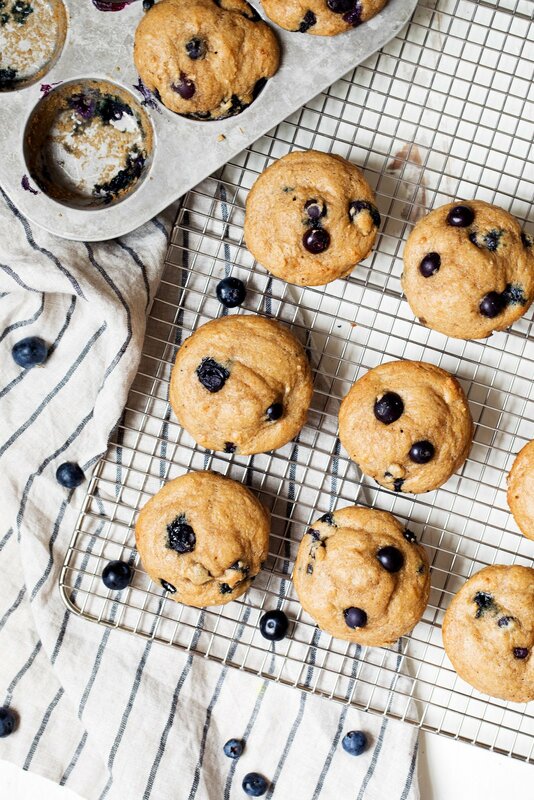 Maple, blueberries, and yogurt in muffins! YUM!! I totally get that rando urge to bake, it’s insane! It’s not really a craving to actually eat the baked good which is the weird part, but of course I always do! Can’t wait to try these! Love love love muffins! Hello! Does the flour need to be sifted? How can I replace Maple Syrup or honey? Hi Kelly! No need to sift the flour, and you can sub 1/2 cup of brown sugar for the maple syrup. These turned out sooo good. Would you recommend storing them in the fridge or leave out? Mine too! then adding a few tbsp of almond milk just made it really sticky. would love to know if anyone has any suggestions. It lists almond milk in ingredients but instructions never mention it at all. I added to the wet ingredients and the consistency was off. Flavour good. Recent recipes but needs correction. I just made these and my batter was so thick! Also the muffins stuck to the liner. And the blueberries produces a lot of liquid through the liner Any idea why? They were tasty though! I might have missed this, but what is the best way to store these particular muffins? Make sure they cool completely and then I usually keep them in a large ziploc bag or airtight container! It helps to put a paper towel over them in the container, too, to help them retain their moisture without getting soggy. If you want them for more than 4-5 days later I would suggest freezing them in a ziploc bag! The batter will be thick because of the yogurt, but they turned out perfectly once baked. I love your idea to turn up the heat at the beginning. It made the muffin tops a bit crispy…delicious. As for preventing soggy fruit, Running with Spoons gave me the idea to toss a bit of flour over the fruit before adding to the mix. I used plums for this recipe and it works really well! Thanks, Monique! Made these last week and they were delicious. Took them with me to work, and they were a favourite. Thanks so much for the recipe! Can you sub in honey or agave syrup for the maple syrup? Also, if I did this as mini muffins, what would you reduce time to bake? Yes you can use honey or agave in here! And I’m not 100% sure on the bake time for mini muffins – I would try halving the time and then keeping an eye on them? 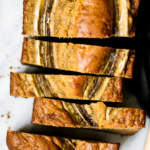 These are baking and I have to say the dough itself is Amazing! Thanks for all your excellent go-to recipes! Is there a way to substitute the oil with applesauce? What would be the ratio? Can’t wait to try them! Personally I think that would yield a dense and chewy muffin, so I wouldn’t recommend it. delectable! just an fyi regarding your “dairy-free” sub notes: for future reference, you needn’t include eggs under that heading. Although eggs are often sold in the dairy section they are not a dairy product and those of us with dairy- allergies can have them. Dairy products are made from milk. Your flax egg sub does make these vegan-so I am looking forward to sharing them with some vegan friends. Thanks for a delicious recipe. 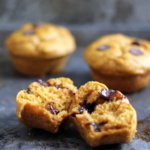 This recipe has been added to my best rated muffins. Absolutely delicious and light. Every week I make muffins for my two grandsons and only use pure maple syrup or honey as a sweetener. I used a variety of flours (ww pastry, spelt, and barley), full fat Greek yogurt , regular whole milk and melted butter. I can’t wait to get my grandsons’ reviews.